Nikon's new P510 superzoom crams 1000mm and 42x optical zoom of super telephoto capability into a compact camera, the longest optical zoom ever stuffed into a compact camera. The P500 the 510's replacing is 36x, and Canon's PowerShot SX40 HS comes in at 35x. 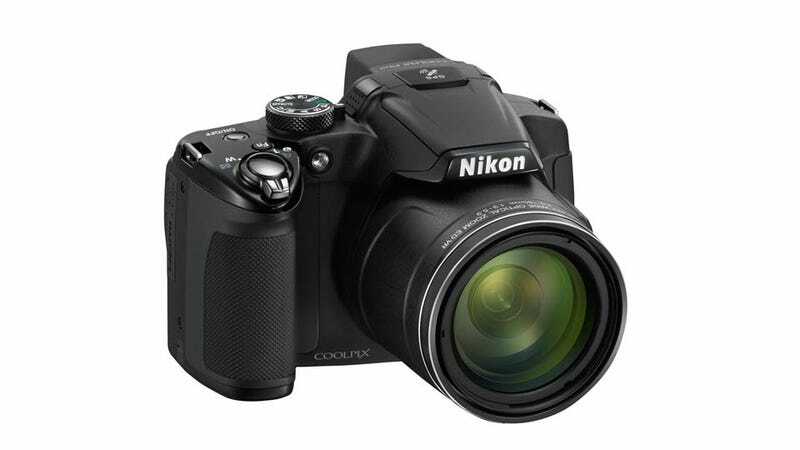 The other particulars include a 16.1MP BSI CMOS sensor, a f/3.0-5.6 NIKKOR lens that ranges from 24mm-1000mm (35mm-format equivalent) focal length, ISO to 3200, a 3-inch 921k-dot LCD screen, full 1080p HD video recording, built-in GPS, and 5fps continuous shooting. The 510 also has advanced optical vibration reduction to reduce blur (the P500 only had electronic VR) that's in effect even while recording video.